Due to requests at the IGMX forum, I put down my thoughts concerning Alpha swordtails. The most experienced person at dealing with those animals seems to be Günther. Therefor I really recomment to visit his homepage. "Feature of this new pattern was few or no guanin caused sheen. The Hellerii doesn't even need to have a blue colour. 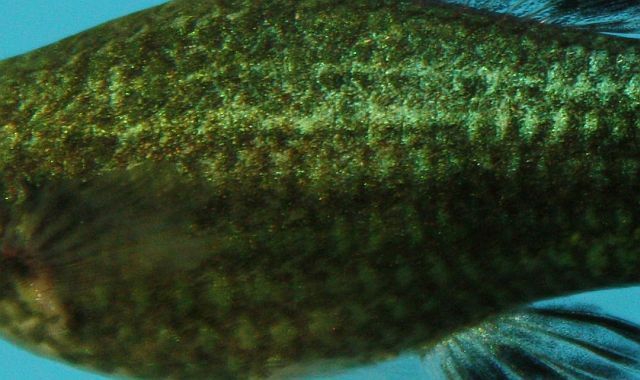 That fact is only applicable to fish with green basic colour. 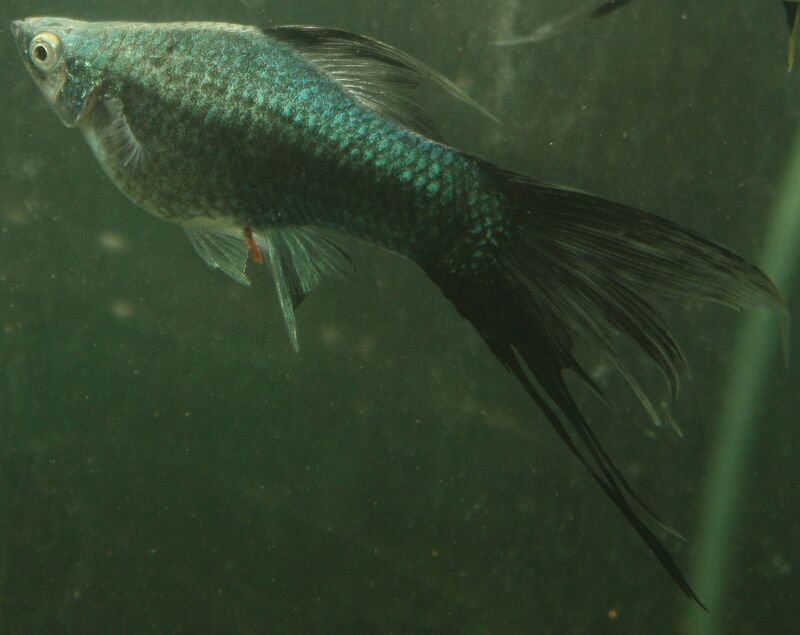 With a red basic colour they are coloured velvet black, whereas all fins are red. Apparently the basic colour also gleams through the coating paint (pattern). 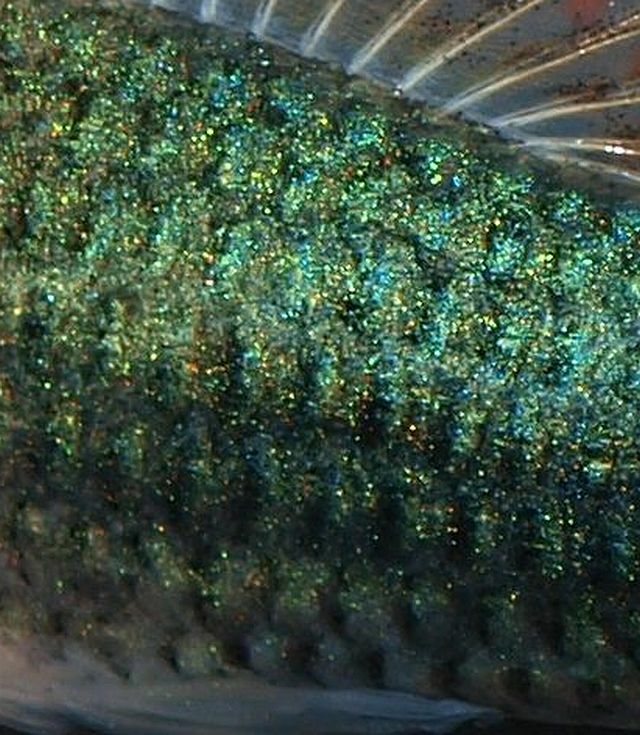 With yellow basic colour the fins are yellow, as to the rest the pattern resembles the green one." Thats the current level of knowledge! In addition there is a mottled version (vertical black stripes with diverse extend and partly reflections), which seems to be a intermediary stage to the "pure" Alpha. 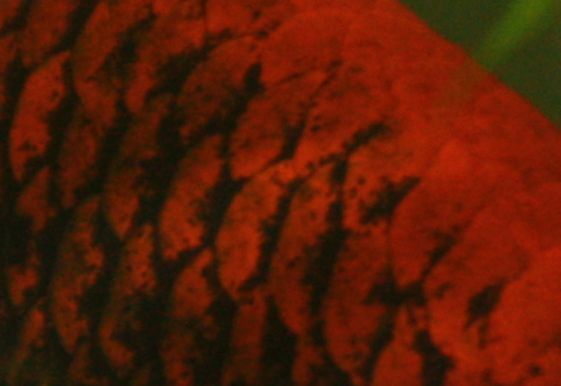 The Alpha swordtail with red basic colour differs widely, so that the affiliation to the Alpha pattern should be observed. 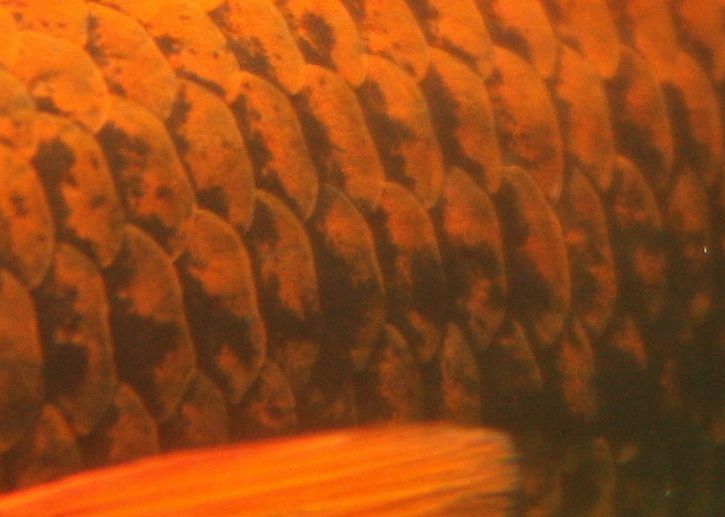 Visually seen, at the Alpha swordtail it looks like there are dark pigments arranged at a lower layer of skin. In some cases the explanatory model for Xiphophorus using basic and coating colour isn't practicable. This illustrates that we always have to be cautious at analysing heredity proceedings with only those helpful but simplified explanatory models. By the way I'm confident that the "Hamburger" swordtail (In USA often called "Berlin swordtail") is an outlier of the Alpha. 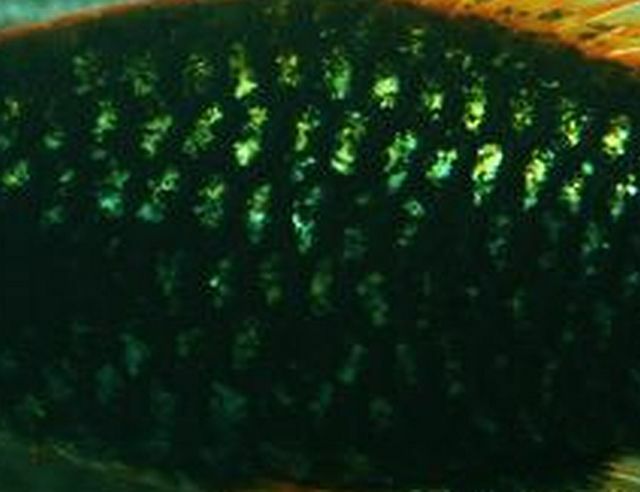 Maybe "Hamburger" swordtails are Alpha swordtails with reflective sheen. 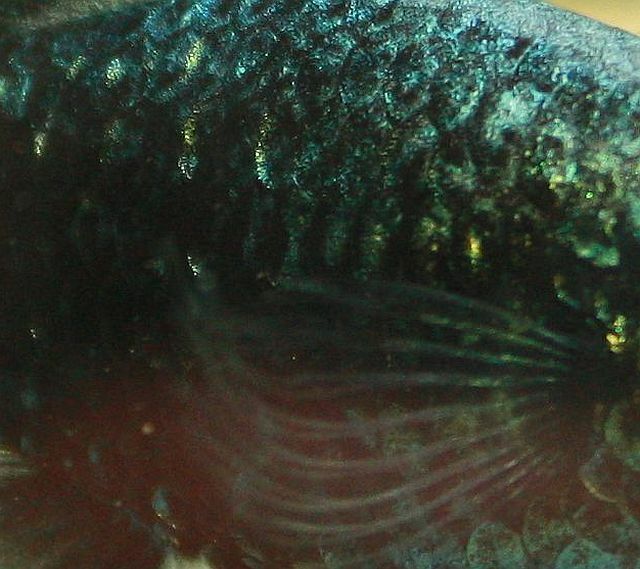 A reflective sheen could "reveal" the black colour similar to fish with red basic colour. 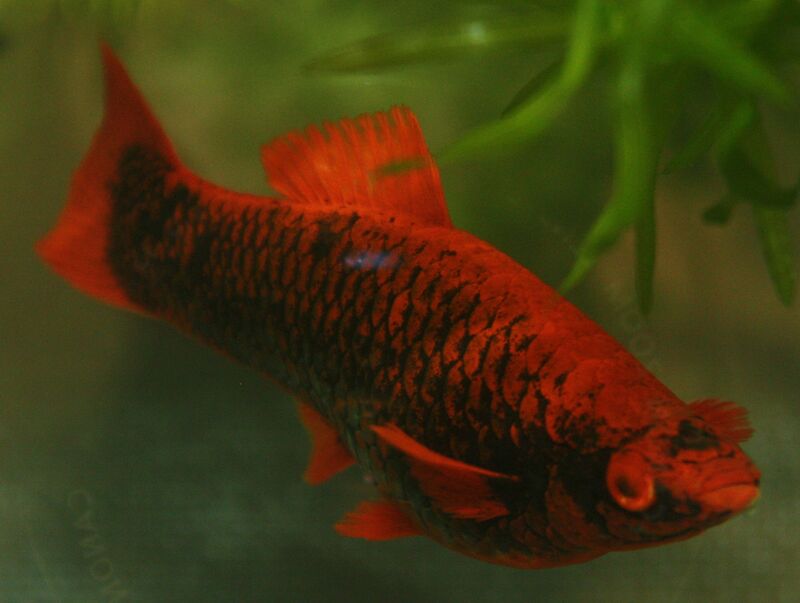 Red colour pigments and, in case of Hamburger swordtails, the reflective sheen are located at the outer scale sections with varying intensity. With green-gray and probably also with yellow basic colour, there is a iridescent sheen spread over spacious parts of the outer scale. With this in mind, possibly even the spotted Alpha pattern may be a kind of spotted reflection. ... and the "Hamburger" swordtail. There are example Helleries that we can class with the Alpha type. For comparison here is a nice Marigold-based "Hamburger" owned by a breeder named Günther Schramm. Very beautiful. The Americans call the "Hamburg swordtail" incidentally often "Berlin swordtail"